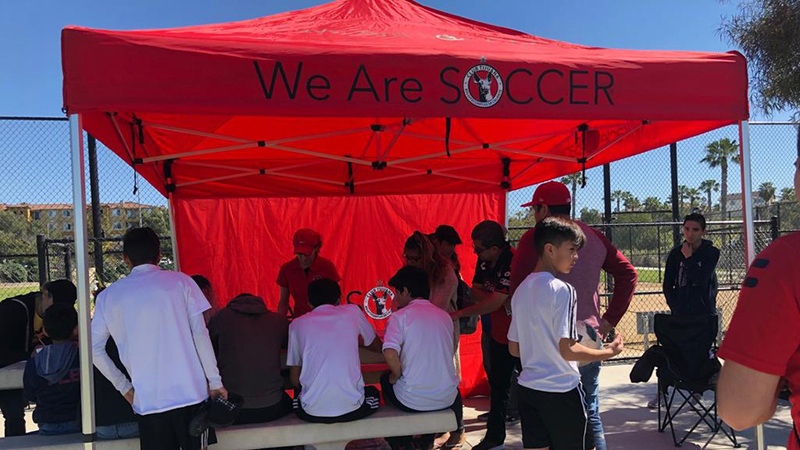 CHULA VISTA- Xolos Academy FC players got the chance to meet a member of the Club Tijuana Xoloitzcuintles de Caliente First Division team Thursday. Xoloitzcuintles midfielder Alejandro Guido stopped by to speak with some of the academy young athletes. “I think it’s a great opportunity to develop and to look for their dream of becoming a soccer player,” Guido said during his visit. 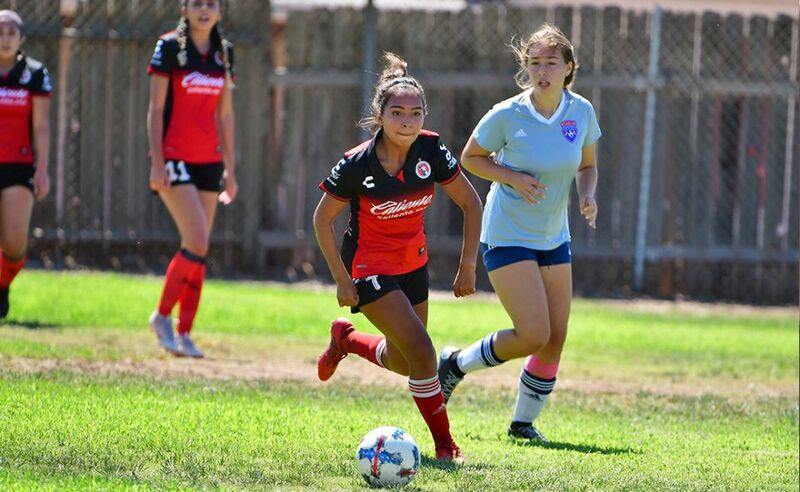 The Chula Vista native and Mater Dei High graduate wished a group of players and coach Raul Salinas luck in their Presidio League season opener this weekend. Guido, a United States Under-20 national team member, stayed to sign a few autographs and posed for photos as practice ended. 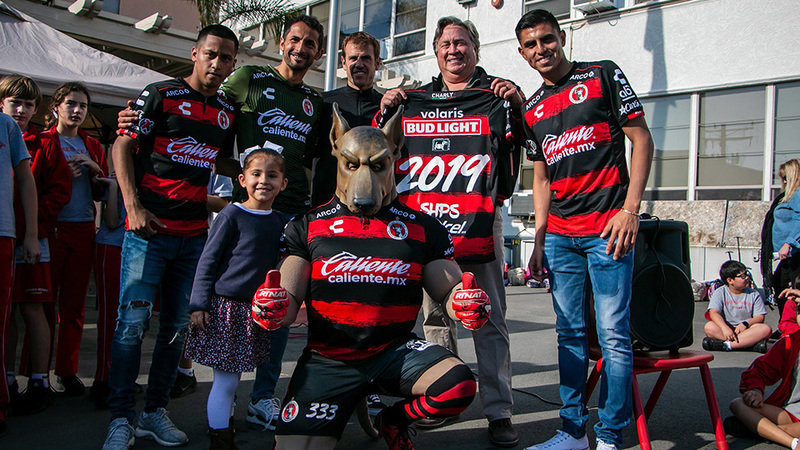 The Xolos Academy FC opens league play Sept. 6 and Sept. 7 with a handful of teams competing at various points in San Diego. 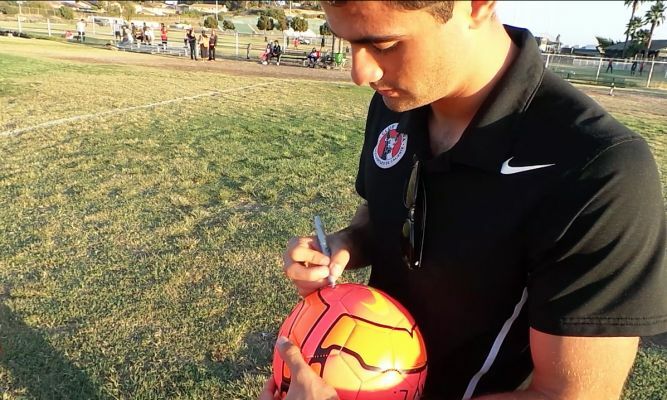 Alejandro Guido has some encouraging words for Xolos Academy athletes.